"It will be my longest journey on foot too. Like many people who asked “why do it?”, I too asked myself the same question many times over. What If today one rich man will donate $50,000 USD, which is our goal, will I still run the 1,569km? For as long as there are children everywhere in the world that need help to live and get better healthcare, there will always be enough reason to ask others to extend a helping hand. "Team S2N is ready to endure the pain climbing those steep hills, the scorching heat and heavy rain, the dust and the dangers along the way. 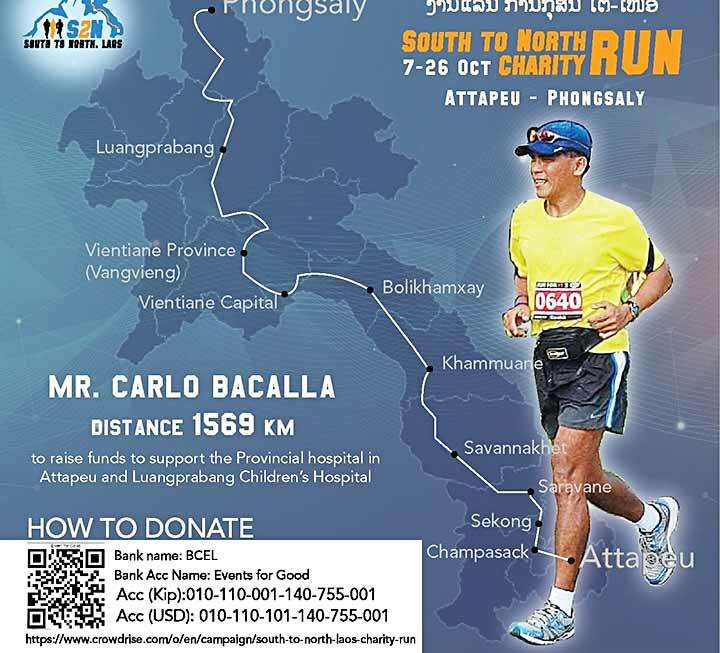 We will run the 1,569km distance from South to North, but we need you to help and support us raise the funds for the Lao Children. Let’s do it together!" Day 1 Team S2N hit the road at 6am today after a brief send-off ceremony with representatives from Attapeu City government and Attapeu Provincial hospital. Running for whom? For whose children? For "faceless" Lao children whom we don't even know since Adam! Day 2 Team S2N took off from km 100 at Ban Kan Kuay, SEKONG Province at 5:30 am. The runners are keeping an average pace of 7.4 min per km. The midday sun was hot but after lunch the sky was cloudy which was favorable to the runners. Donations keep coming in along the road from strangers who got to know of S2N Charity Run as we pass by. All runners are still in high spirits! As expected (!) 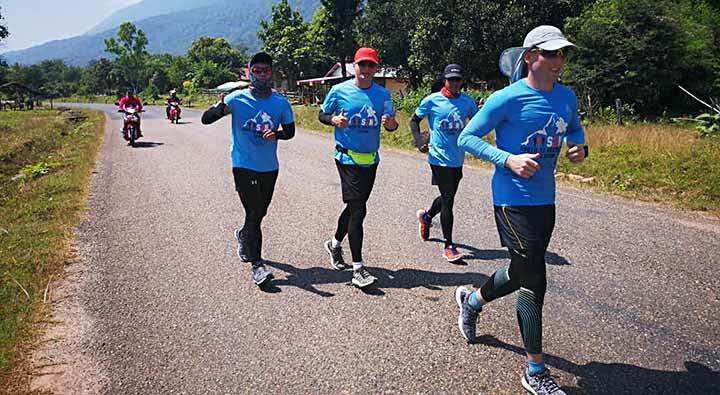 this was the first test for the runners climbing the 1,200-metre mountains of Paksong. But the runners had the best treat with Pakse runners welcoming us in this big city. At dinner we had free delicious food at the ZAAP restaurant with the owner donating more cash to the S2N cause! Exhausted but happy! Day 3 Extremely hot at midday! But we trained for it, hot or cold, we are ready! The terrain was flat, with little rolling hills. Donations continued to come in. Along the route people stop our team to give their donations! Ended the run at 6 pm and enjoyed chicken dinner at Ban Napong! 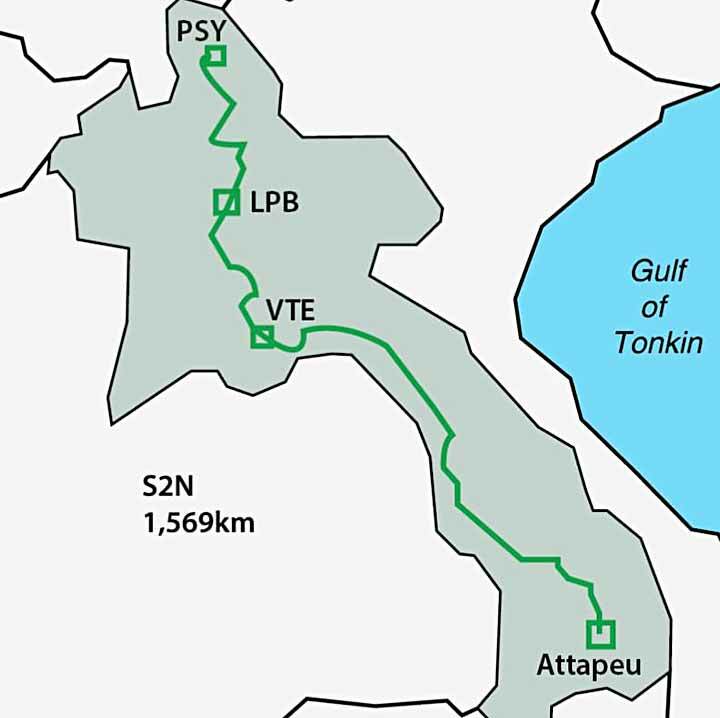 Day 4 Team S2N started earlier at 5:10 am hoping to cover a longer distance as we entered the Province of Savannakhet with flat terrain. The temperature at midday was getting hotter pushing the runners to take in more water and energy drinks. Ended the day with a sumptuous meal after covering 115km. Good job, team! DAY 6 S2N Runners started at 4am from BAN NA Thong, Xayboli district, Savannakhet aiming to cover 160km up to Ban Viengkham. We passed through Thakek town and got some donations along the way. Got to our destination at 9:30 pm. The midday heat was terribly hot but the runners finished strongly. 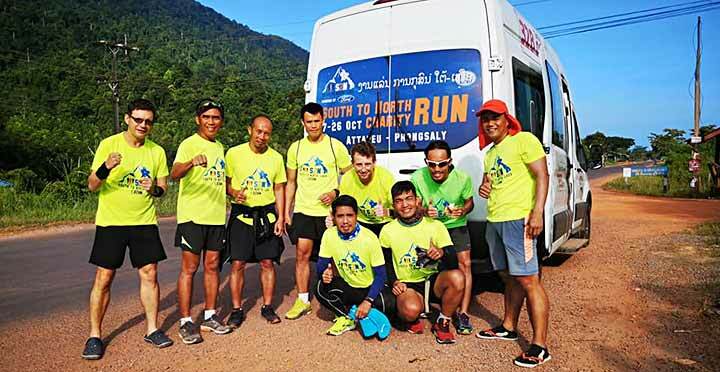 Our running team comes from the Philippines, Germany, Korea, Canada, Australia, America, and other countries to join with our Lao friends to raise funds for children whom we have not even seen or met. But we know they are children of humanity, children of the world, Lao Children who need help. We run for them! Don't feel left out! Join the S2N Charity Run bandwagon! Show that you care! Follow us from 7-26 October! LIKE, SHARE and TALK about S2N to your friends! DONATE! Let the 1,569km S2N journey begin!